If you are planning to improve an outdoor space, we can help you along from first imaginings through finishing touches, at a pace that is as fast or as easy-going as you need. We understand that a landscaping project is a major purchase, so we do our best to take you on a low stress journey to something truly amazing. Are you wanting to spend more time outside next summer? Don’t let another season go by. You can have a space you’re proud of if you start today. Like us on Facebook or follow us on Instagram to see construction projects come to life through our stories. What we do: We provide Landscape Design, Licensed Landscape Architectural Design, and a full range of installation services. While we consider ourselves a Design-Build firm, we often do either one or the other depending on what a particular client needs. Our clients help us define what’s next and we are excited to be a part of that journey with you. 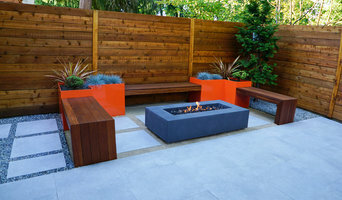 Learn more at truescapedesign.com Landscape Design We love to help homeowners realize their visions for their outdoor spaces. To this end, we create plans that are intuitive and easy to read, and that show plant and material choices with color photographs. If 2D plans can’t convey the vision, we also do electronic 3D modeling. Our primary focus in Design is to help make your desires become reality with whomever you choose for installation. The main difference between Landscape Design and Landscape Architecture is the end user. The audience for a Landscape Design is often the homeowner, but a city inspector or permit application reviewer is normally the main user of our Landscape Architectural plans. As registered landscape architects, we create Green-Factor, drainage, and irrigation plans for permitting that require a licensed landscape architect to render. We also help homeowners through the permitting process when their properties lie inside environmentally critical areas. For design and architectural work, we serve clients further from Tacoma to Lynnwood, and Seattle to Snoqualmie. Building Services We are equally adept at new construction projects and custom homeowner work, and have installed our plans and those of many others in and around the Seattle area. Our installation teams are communicative with homeowners and understand our design vision. We also build outdoor spaces of all kinds as a general contractor or subcontractor. Our installation teams built each project pictured on this profile or at truescapedesign.com. 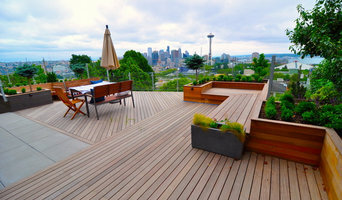 Seattle Custom Kitchen & Bath Remodeler 4X Best of Houzz Winner! Create an enchanting garden space using the seasoned talents of Gil Schieber, Plantsman, and his dedicated team of landscapers. 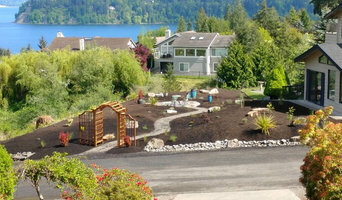 Gil's company Borealis Landscape & Design has been designing, building, and maintaining fine gardens in the Pacific Northwest for 35 years. Time-tested beautiful plantings complement nature providing the resident integrated outdoor rooms. Borealis can work to your scale and budget. 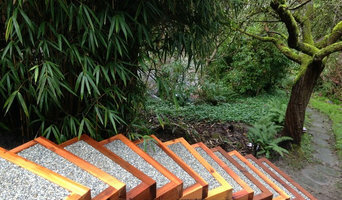 Gil creates gardens with balance, seasonal interest, low maintenance, longevity, native and edible flora. His harmonious gardens take care of themselves while maintaining aesthetics.